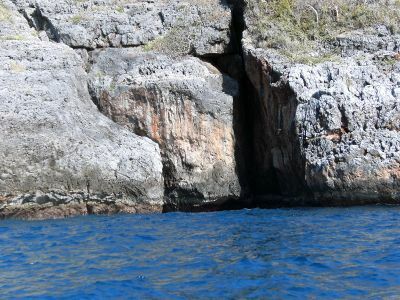 On the eastern coast of Cabo Cabrón, a cliff side which collapsed offers the possibility to go inside of this one. 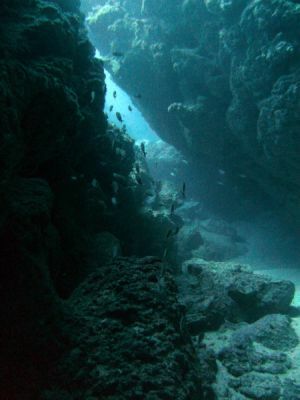 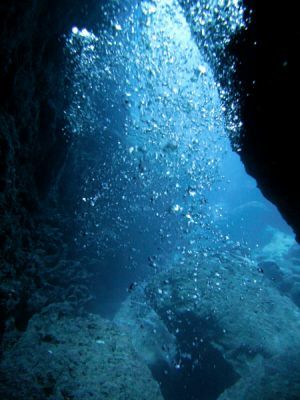 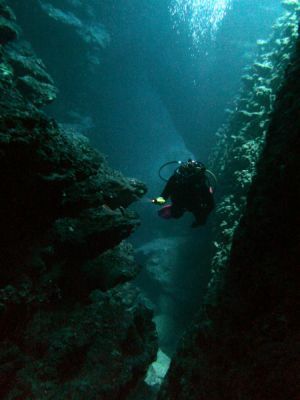 The entry, at approximately 23 meters of depth, gives access to the back of this enormous block. 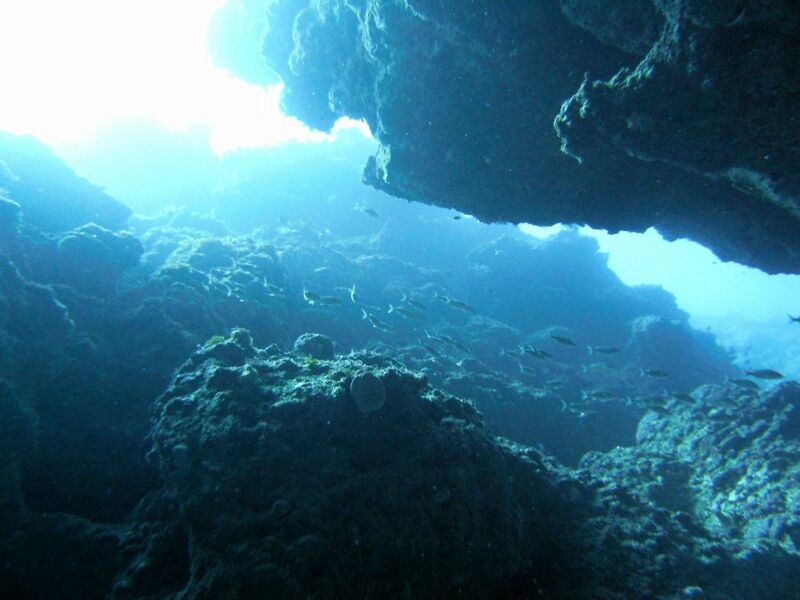 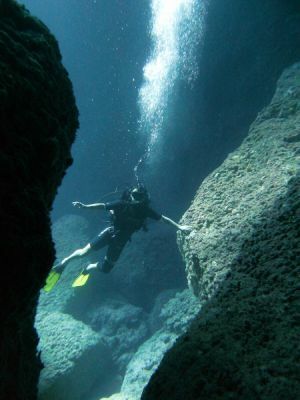 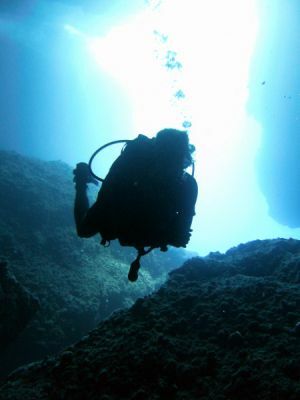 To go around, we dive at different levels going from 10 to 16 meters. 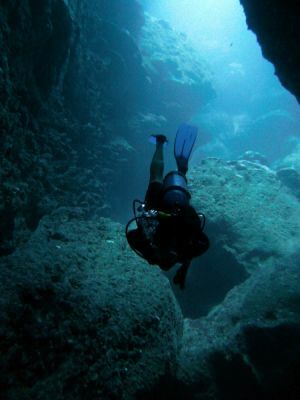 It is an amazing view, the flashlights are not necessary because the external and natural light is penetrating into the cave.